10 best bridal hairstyles for the modern bride! Hello, dear brides-to-be! With your wedding date drawing closer, we’re sure you’re busy finalising those little last minute details about your bridal look. And your bridal hairstyle happens to be one of those important decisions that you’re yet to make. So sit back and relax, because we’ve got just what you need! Here are 10 gorgeous simple wedding hairstyles as inspiration for your wedding look. And nope, we’re not just talking buns. If judaas are not your thing, opt for this bridal hairstyle with ever glamorous soft waves to frame your face. Waves are a great option for the minimalist bride who wants her hairstyle too to connect with her chilled out vibe. No matter what the length of your hair, this wedding hairstyle will definitely look great. Bridal Hairstyle 2. Pony up! This bride is giving us some major hair goals! 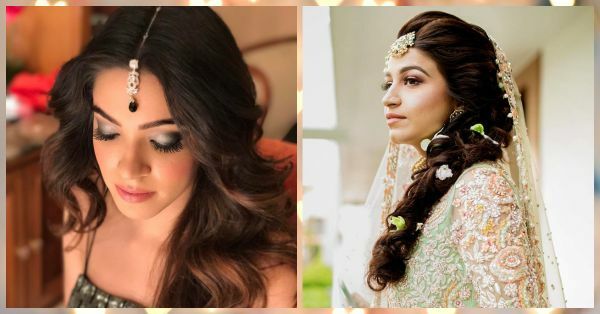 This bridal hairstyle with a pony is all the rage this shaadi season and you can also easily pin up a light dupatta on your head with this hairdo. With the help of your makeup artist, experiment with this wedding hairstyle and find out the perfect height of the pony that best suits your face shape. Bridal Hairstyle 3. Pouf up the hair! We’re loving the bride’s juda that’s all about the volume! For a wedding hairstyle that totally stands out, go in for lots of volume at the crown area. A puffed up front and a basic juda sure does make for one amazing bridal hairstyle. A messy side braid is one stunning yet simple wedding hairstyle that never fails to impress. And it sure is the only bridal hairstyle that looks great with not just a lehenga, but an anarkali or a saree too. Style your hair in a thick messy side braid and finish up this wedding hairstyle with fresh flowers for the best ever bridal look. Switch the typical juda with an elegant low bun at your wedding. We’re loving this slightly messy style with tousled flicks to frame the face. Instead of a gajra, pretty up your bridal hairdo with white orchids and baby’s breath. If you do not have hair long enough to make a heavy juda or add too much volume to your crown, this is one wedding hairstyle that is perfect for you. The ace makeup and hair artist gave her bride a beautiful and simple wedding hairstyle with a braided front. The focus here shifts to the front and we have to admit that this bridal hairstyle looks fabulous. This sister of the groom is giving us some major bridal hairstyle goals too! A gorgeous wedding hairstyle for the bride who has short hair, this hairstyle suits most face shapes and is a great pick for the wedding. Soft curls, side-swept hair and loosely pinned strands make for an all out glam look. How gorgeous is this wedding hairstyle?! Braids are getting bigger and better and you as the bride-to-be totally must try out this one trend. We’re in love with this messy fishtail braid that is done up with tiny little flowers. A lovely exaggerated wedding hairstyle, this is just fab. When in doubt, go in for the ever elegant half up, half down look. This is one bridal hairstyle that goes with almost every outfit and looks pretty no matter what the hair length. A middle part for your maangtika and in-curls at the ends will make you look like a true diva. A loosely tied low juda, this is just the prettiest ever bridal hairstyle. 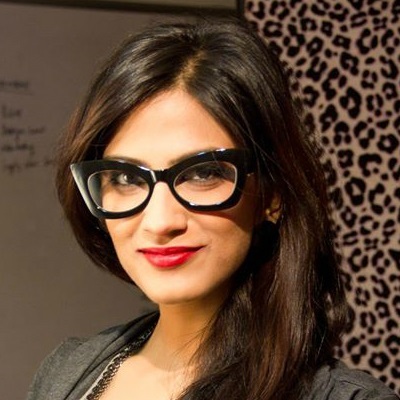 Softly frame your face with loosely curled flicks and opt for a middle part for your maangtika. While this may not be the ideal choice for the bride wearing a maathapatti, it still is a great hairdo to inspire your wedding hairstyle.